Most people associate nutrient deficiencies with starving children in third world countries or people who eat nutritionally devoid fast food on a daily basis. In our world of fortified food products, enriched junk food, and vitamin flavored sugar water, it almost seems inconceivable that people in developed countries suffer from nutrient deficiencies. But most people don’t realize that a multivitamin or vitamins sprayed on food products are not perfect substitutes for the nutrients found in whole foods such as fruits and veggies. We typically don’t know we’re deficient in certain nutrients until we start feeling a little under the weather. We can sense that something’s off, but we just can’t put our finger on it. So today we’ll be talking all about the most common nutrient deficiencies and what you can do to prevent the consequences of being deficient. How many people do you know who care about their iron levels as much as say their vitamin C? Ignoring this mineral is a big mistake. Iron helps the most important part of your body: your blood. Iron is essential for the production of hemoglobin, the protein that helps red blood cells carry oxygen throughout your body. Iron’s also involved in the regulation of cell growth, cell functioning, and the synthesis of certain hormones. Just a slight deficiency in iron causes anemia. Chronic iron deficiency may even lead to organ failure. It’s kind of a big deal, right? Menstruating women need more iron than men because they lose iron during their periods every month, which is why the recommended daily iron intake is 8–11 mg for men and 15–18 mg for women, depending on age. Calcium is the champion of strong bones and works to constantly build and maintain them. It’s also needed to help control the function of your muscles and nerves. That’s why we should all aim for 1,000–1,300 mg of calcium per day based on our age and gender. 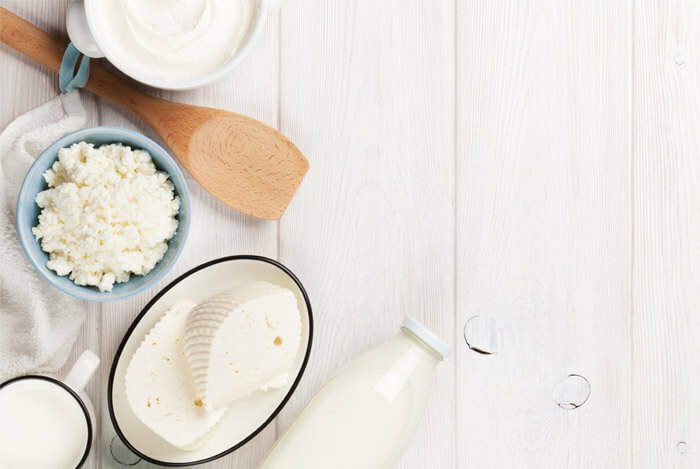 You don’t have to chug a gallon of dairy milk to meet your calcium goals for the day; yogurt and cheese are also great sources. Kale is a good source of calcium along with other dark greens. Although not often glamorized, vitamin D — aka the sunshine vitamin — is involved in over 45 health conditions and functions. Vitamin D is critical for skeletal and dental health because it regulates the amount of phosphate and calcium in your body, which you need so your bones develop and repair themselves. Without this killer calcium/vitamin D combo, bones aren’t as strong as they should be and may become fragile, brittle, and break easily, even without a serious fall! Vitamin D also has the ability to help prevent brain disorders like dementia and Alzheimer’s. However, vitamin D deficiency has become more common because we’re all getting smarter. You see, we used to get most of our vitamin D from the sun. The sun’s ultraviolet rays hit our skin and cause vitamin D synthesis to occur. But now that we’re all wearing sunblock during our outdoor activities (right?! ), we’re blocking most of the vitamin D from getting into our skin. Even sunscreens with an SPF of 8 lessen a person’s ability to produce vitamin D by 95%! Plus, now that technology has become such a big part of our lives, we’re spending more time indoors instead of out in the sun. We need to be careful about this. According to one study, when scientists followed almost 50,000 men for 10 years, they found that men who had a vitamin D deficiency were twice as likely as men who had normal vitamin D levels to have a heart attack. So how much vitamin D should you aim for? Adults under 70 need 600 IU daily. Those over 70 require 800 IU per day because it’s harder for skin to convert sunlight to vitamin D at this age. Plus, the kidneys in those over the age of 70 start to lose their ability to convert vitamin D to an active form. Milk, eggs, cheese, and yogurt will offer up some quality vitamin D, as will fatty fish. If you nosh on tuna or salmon, surprisingly healthy fatty foods, just twice a week you’ll meet your requirements. Vitamin B12 is often touted as the “energy vitamin” because “your internal energy factories just don’t work as well without it,” Kathi Kemper, MD, director of the Center for Integrative Health and Wellness at Ohio State University, says. Of course, all of the B vitamins help your body convert food into glucose, which gives you energy. Here’s the bad news though: you can only get B12 from animal sources, which is why B12 deficiencies have been on the rise thanks to the popularity of vegan and vegetarian lifestyles. So that’s why all men and women need to get 2.4 mcg daily. Those are definitely not issues you want to mess with. 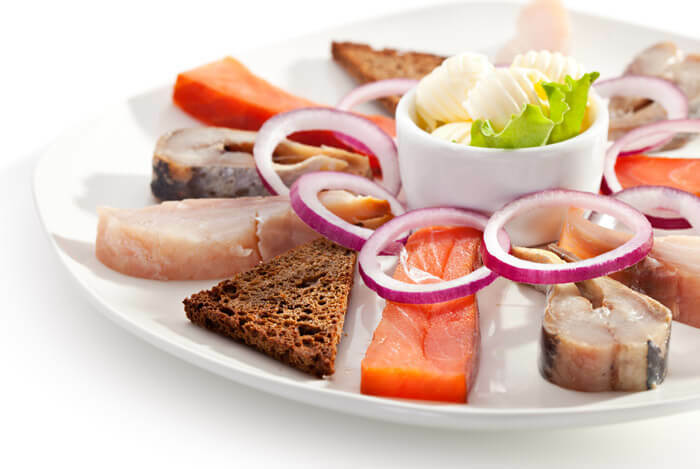 That’s why it’s imperative to get your very small required amount of B12 by eating foods such as cooked shellfish, fatty fish such as salmon and mackerel, grass-fed beef, and eggs. An adequate intake of magnesium means you’ll get help absorbing energy from food, promote healthy thyroid functioning, and repair tissues. As if that’s not enough for this one mineral to accomplish, magnesium’s also referred to as the “original chill pill” because it helps ease stress and ward off anxiety so you can fall asleep faster and stay asleep longer. 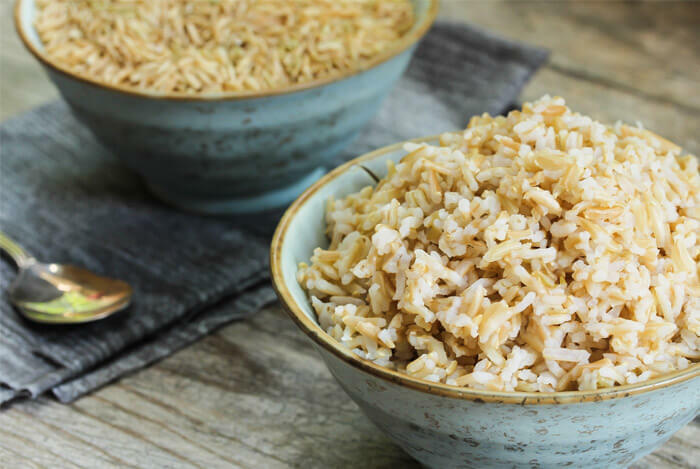 Furthermore, several studies have associated low magnesium levels with elevated insulin levels, suggesting that upping your magnesium intake may reduce your risk of developing type 2 diabetes. 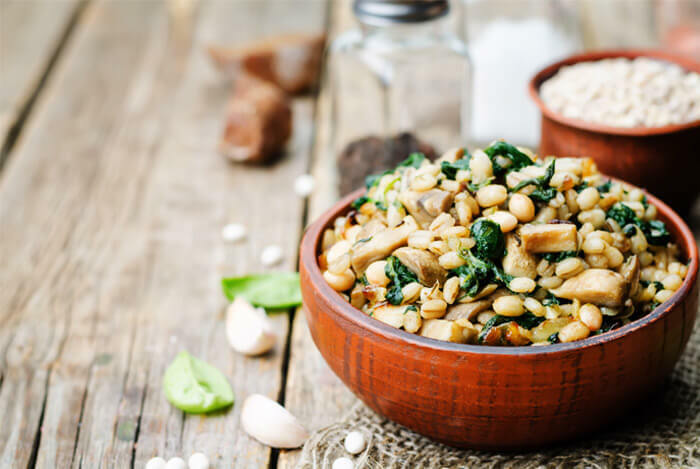 Food sources of magnesium include whole grains, green leafy vegetables, nuts, and legumes. This essential nutrient performs a ton of VIP functions in our bodies. It regulates our heartbeats, helps relax muscle contractions, keeps our blood pressure stable, and even reduces swelling. Studies show that increasing potassium levels reduces blood pressure for those dealing with hypertension and even lowers risks of stroke by 24%. It’s even been shown to prevent cardiovascular disease. Plus, when researchers from one study observed 5,000 men as they consumed more than 4,000 mg of potassium per day, they noticed that the men were only half as likely to develop kidney stones as those who got less than 2,895 mg/day. It’s common to have low potassium levels if you’re sweating a lot, have diarrhea, are taking antibiotics, or have chronic medical issues. We need about 4,700 mg of potassium a day, which definitely sounds like a lot. Bananas are typically considered the go-to potassium snack, but guess what? One cup of baked sweet potato has 950 mg of potassium, which is twice the amount found in a medium banana (422 mg)! As you can see, the consequences of nutrient deficiency range the entire gamut of health issues. But it’s not hard to get all of your essential vitamins and minerals from a whole foods diet. Just make sure you stick to a variety of foods instead of locking in on the same ones over and over again. A varied diet will cast a wide net out to grab different vitamins and minerals for your body to absorb and that kind of good nutrition stops you from getting sick. If you suspect a nutrient deficiency, ask your doctor to run some blood tests so you can pinpoint what’s missing and work towards feeling better. What’s your take on the nutrient deficiencies? Have anything else you’d like to share? Let me know in the comments below!